Emma Husar has vigorously denied the allegations against her. 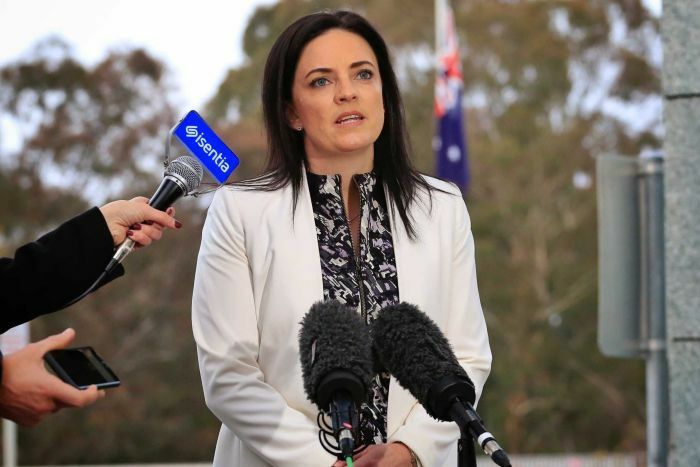 An investigation into Labor backbencher Emma Husar has found she subjected staff to unreasonable management, including disciplinary methods, but that the leaking of complaints against her was reprehensible. The New South Wales Labor Party investigation, completed by barrister John Whelan, said allegations of misuse of public money should be referred to the Independent Parliamentary Expenses Authority. It noted Ms Husar referred herself to the authority when the complaints emerged. The report said allegations of sexual harassment and lewd conduct were, on the balance of probabilities, not supported. “I note the report has cleared me of the most malicious and damaging of allegations, which were not only baseless but leaked to the media,” Ms Husar said in a statement. Mr Whelan’s report found merit to some of the complaints against Ms Husar but said, based on the assessment, that there was no basis for her to resign from Parliament. Ms Husar announced on Wednesday that she would not run again at the next federal election. Ms Husar said if she had been able to respond to the allegations in full and without being simultaneously subject to public attacks she would have been able to put it behind her “and to continue serving the people of Lindsay and working towards electing a Shorten Labor government”. “As it stands, I have done what I could in the interests of the Labor party by announcing I would not recontest the seat of Lindsay,” her statement said. The report found there was merit to complaints that staff performed non-work-related and personal duties for Ms Husar, and said that should be referred to the Finance Department, which employs her staff. “Complaints that staff were subjected to unreasonable management including unreasonable communication, demands, practices and disciplinary methods have merit,” it said. The allegations about Ms Husar’s behaviour included that she asked her staff to exercise her son’s therapy dog and pick up after it. The report also found a significant difference between the way Ms Husar said she managed her staff and the way the complainants perceived they had been treated — those complainants alleged they found much of Ms Husar’s management “offensive and unreasonable”. In that regard, the report said after considering both sides, it generally favoured the complainants’ versions. Ms Husar said from what she had seen in the summary findings provided to the media she did not “believe any of these should have cost me my reputation, my job or humiliated me and my children”. Mr Whelan’s assessment said the leaking of some of the complaints was “reprehensible” and had potentially made tensions worse, “in an environment in which many have reported the stress this matter has placed on their mental health”. The New South Wales Labor Party has released the overview of the findings but says it will not release the full assessment for confidentiality reasons. Ms Husar said complaints should be heard in the proper forum, but she had faced “trial by media, gossip and innuendo”. “I am gutted that the willingness of certain individuals and certain parts of the media to defame me on vexatious and unfounded accusations has caused so much personal, emotional and professional damage to me, so much hurt to those close to me and political harm to the party I love, have supported and worked so hard for,” she said. Prime Minister Malcolm Turnbull has continued to use the issue to attack Labor leader Bill Shorten. “How can somebody who claims to have been a defender of workers’ rights not be aware of what was going on at a time when others in the Labor Party leadership group knew about it, at the time when the New South Wales Labor Party had got a barrister to conduct an inquiry?” Mr Turnbull asked this afternoon. Ms Husar has taken extended personal leave. The Whelan report says the Finance Department should develop a “return to work plan” to consider issues including training, staff needs and office support.